Sami presents at the LBBC conference on exercise and nutrition and it’s role in survivorship. Complementary medicine is defined as practices or supportive therapies that can help reduce the symptoms and the side effects related to cancer. Sami who is an expert in exercise and cancer who will share why exercise is so crucial during cancer, and how you can do it in a way that really helps you to get the outcomes that you want and also do it in a way that is safe and is really going to make you feel better over the long-term! The role exercise plays in cancer care is becoming increasingly important. Exercise is known to be safe and helpful for cancer survivors during and after treatment, and oncologists and their teams continue to recommend it for their patients. Published board member and contributor. The Society for Integrative Oncology (SIO) produced an evidence-based guideline on use of integrative therapies during and after breast cancer treatment thatwas determined to be relevant to the American Society of Clinical Oncology (ASCO) membership. ASCO considered the guideline for endorsement. 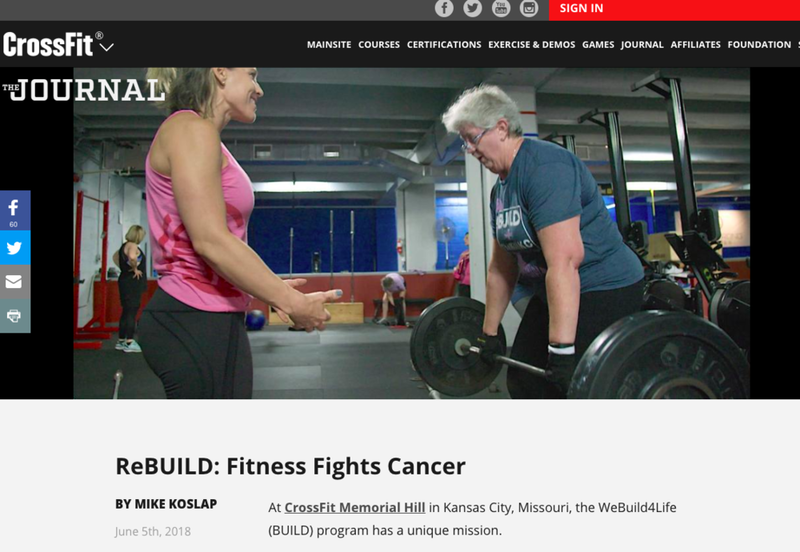 “We have the same methodologies of CrossFit—functional fitness, constantly varied, high intensity—but we focus our programming on the specific needs of cancer survivors,” says Sami Mansfield, co-founder of BUILD. In Episode 17, we hear how Sami’s love of physical fitness and passion to serve the members of her community battling cancer is revolutionizing the medical community’s understanding of what is possible when it comes to quality of life during cancer treatment. Article with a cancer survivor from Australia who uses his pedals to fight the disease. Learn how Cancer Wellness for Life is working with HCA to help their patients get stronger and live better happier lives. Dozens who have survived or are fighter cancer gain strength of KC crossfit group. Wellness is more than just being free of cancer. Sami Mansfield : Saving the World, One Cancer Patient at a Time. A little exercize can do a world of good (Especially for survivors).